Old news to anyone that has ever read my blog: Daredevil is my favorite character. I also love the omnibus format, which collects large chunks/runs in one place. They also look really good on the bookshelf. Many omnibus collections of classic material can be so large that they are a bit unwieldy and difficult to handle for reading, but omnibi collecting more modern material tend to be split into multiple volumes and thus much more manageable. 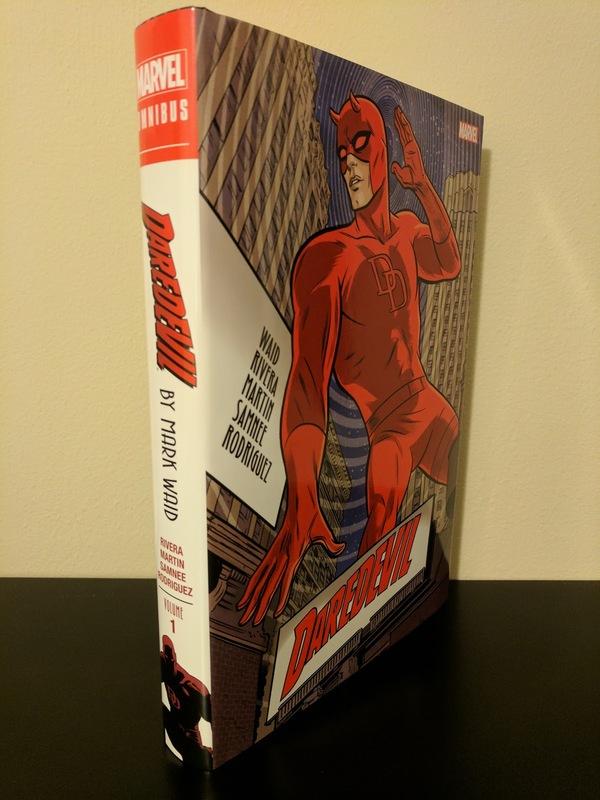 I have picked up and read the Daredevil title monthly for years, but I always try to grab the nicest version of the material in collected form as they are better for multiple readings than repeatedly rummaging through single issues. So of course I picked up both the Silver Age and Mark Waid Vol. 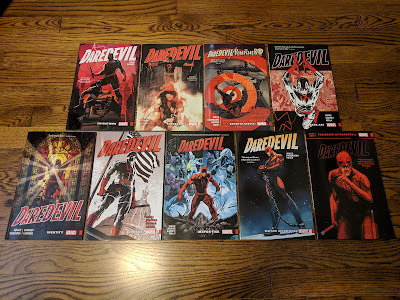 1 editions for my Daredevil shelf. While I have not yet made my way through the Silver Age collection again (I have read the material in the past), this morning I finished re-reading this first Mark Waid volume and I think I enjoyed it even more this time around. 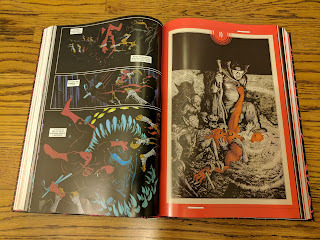 One of the great things about collected editions is that you can get a chunk of story in one place, uninterrupted. When I first read Waid's run, I was reading month to month as it came out. Even then it was obvious that, while taking a different approach to the character, it was an excellently written and illustrated run (thanks to gorgeous artwork from the likes of Paolo Rivera, Marcos Martin, Kano, Khoi Pham, Marco Checchetto, Mike Allred, Javier Rodriguez and last but certainly not least Chris Samnee). But re-reading the first half of the run again, all together, with no delays, reveals just how well these issues were plotted. 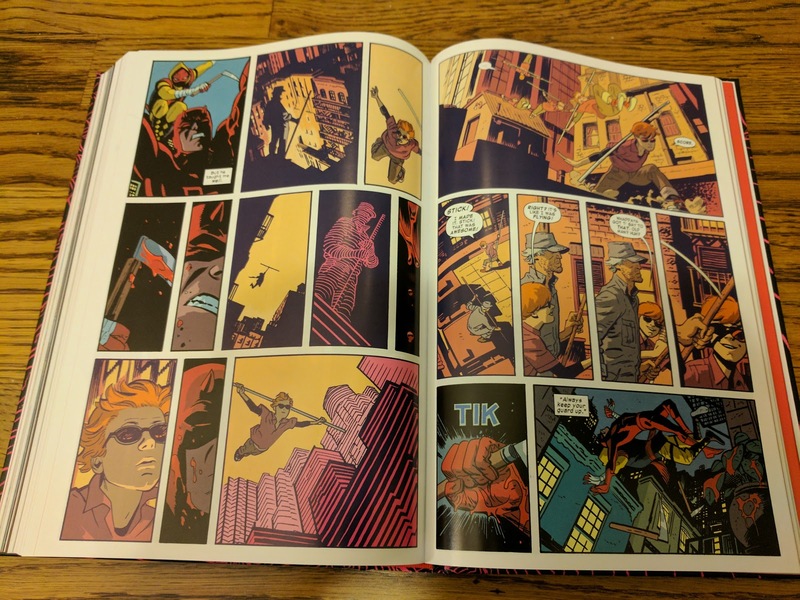 Mark Waid came to the book wanting to do something different than what had become the norm: dark, crime-noir tinged stories that had left Matt Murdock's life in a perpetual state of shambles. In adopting a brighter, sometimes humorous, swashbuckling take on the character, he not only succeeded in breaking from the norm, but also managed to touch on some pretty dark subject material as well (like my film reviews, I'm going to keep this as spoiler free as possible). Of course, the visual aid provided by Waid's various artists is integral to this run's success. Paolo Rivera helped Waid re-launch the title, penciling six of the first ten issues, and while the classic look of his work is amazing, his most important contribution may be his depiction of Daredevil's radar sense. Rivera portrayed it as though Matt is 'seeing' a topographical map of his surroundings, visualized for the reader in pink and black. It is an effect that carries on throughout Waid's run and is easily the best representation of the power that we've ever gotten (bear in mind that Daredevil has been around for over fifty years). 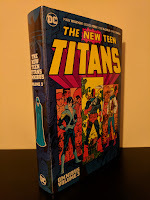 Martin, Kano, Pham, Checchetto, and Allred fill in admirably for various issues throughout this volume, but beginning with issue twelve we're introduced to the wonders of Chris Samnee's work. 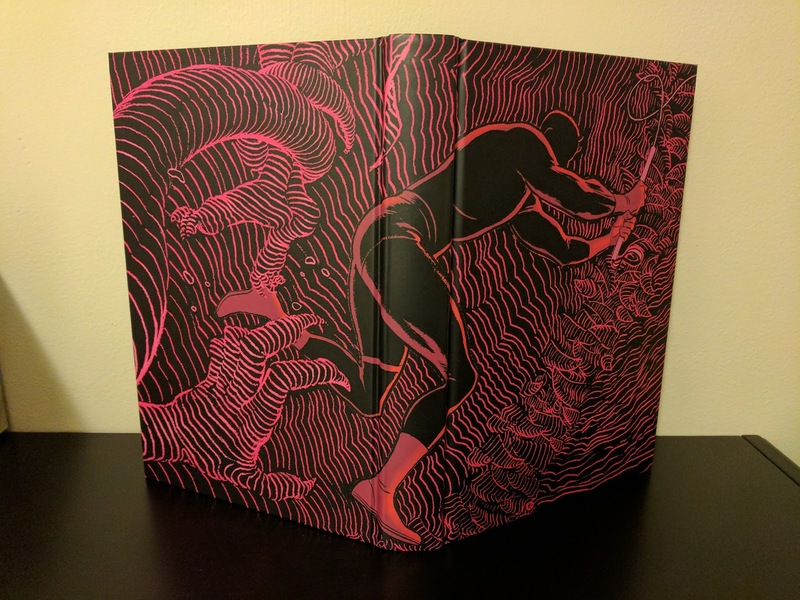 He pencils the majority of this volume from that point on, and goes on to pencil the overwhelming majority of the second half of Waid's run as well. Not to be overlooked, is Javier Rodriguez's work on the colors (he colored all but eight of the issues collected here). They are vibrant without being overwhelming, and help provide the contrast in tone that Waid set out to accomplish. They also help unify the look of the book across a number of artists. 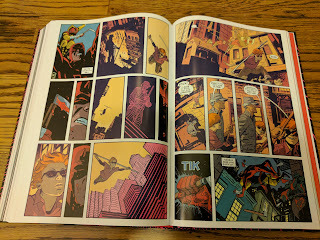 One could argue that I'm biased considering my feelings for this character (and I wouldn't argue that fact), but this is an excellent take on Matt Murdock/Daredevil and his supporting cast (including the introduction of ADA Kirsten McDuffie, who Waid writes into being one of my favorite secondary DD characters ever). It reads even better the second time around and I'm now impatient for Marvel to solicit a second volume collecting the rest of this run. 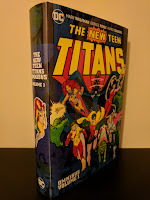 This collection doesn't provide any extras that weren't also collected in the previously released over-sized hard cover volumes (an interview, variant covers, art process and design pages), so if you already have those, there may not be much point in 'trading up'. However, if you are new to this run, this volume is definitely a great place to start and is well worth picking up.